I did have a little difficulty with the web site, although I entered 3 in the quantity box it kept changing to one at the checkout. It took several attempts to rectify. Speedy delivery with good packaging. I am very happy with this product and would recommend to all my friends. 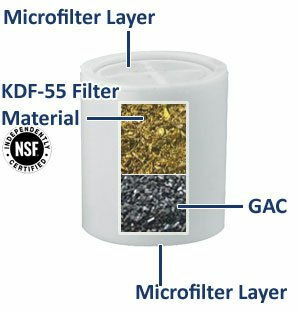 I am pleased to confirm that I am very satisfied with your shower filter and I would recommend it to anybody who is interested in eliminating the impurities that may exist in ordinary tap water, and the harm that they could cause. Unfortunately, to date, I have not found anyone.